Do you know what the most dangerous street in all of Seattle is? Chances are you’re thinking of Aurora, or maybe Lake City Way. 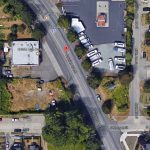 But you may be surprised to learn that it’s Rainier Ave S. And, you may be even more surprised to learn how extensive the problem is – on average, there are 1.5 traffic collisions each day on Rainier Ave S. For Unmute the Commute, this is a 2-part series. Today, walk with us down Rainier Ave. Produced by Hebah Fisher.